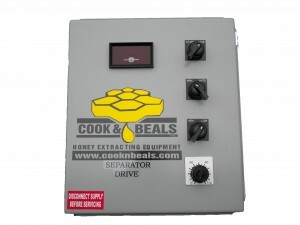 This machine continuously separates the honey from wax, pollen and other foreign particles. It works along the same principle as the cream separator. There are no screens or perforated metal. It is made of stainless steel and is precision built. Under normal use it will last a lifetime. The only parts that can be considered expendable are the “V” belts and six bearings. Of course, these parts are readily available and easy to change. 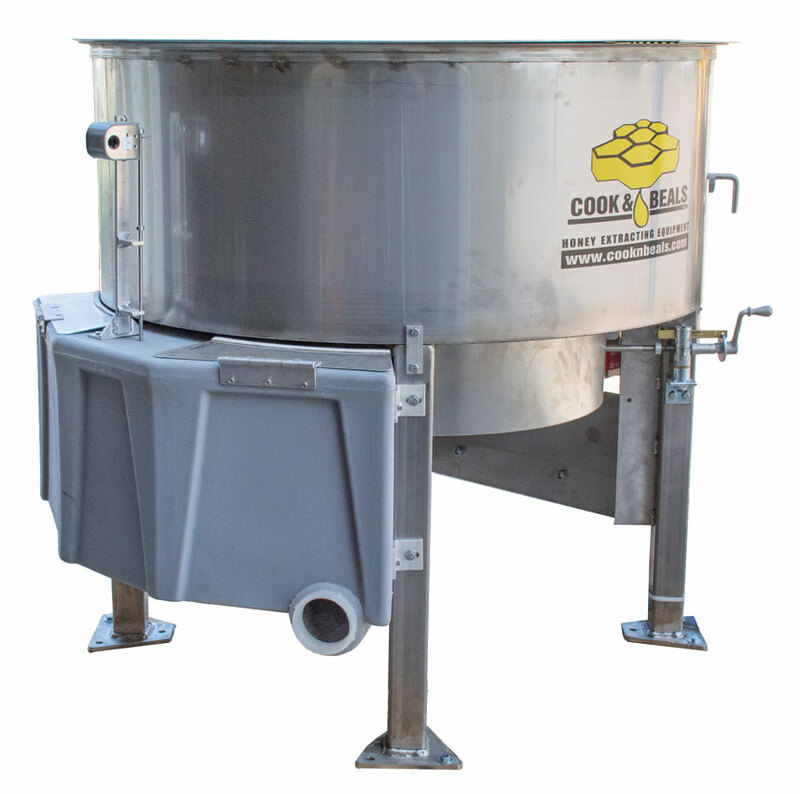 The heart of the Spin-Float Honey-Wax Separator is the revolving drum, often called a centrifuge. In operation, the honey and cappings are pumped or dropped into the top of the centrifuge. This mixture is thrown to the outside wall where the separation takes place. Then through a system of baffles and ports, the clear honey is drained off into the outer plastic molded tank where it is then pumped to your storage tanks. The wax is cut out by a rotary cutter and drops out of the center of the centrifuge. The entire process is continuous. The capacity is above 3,000 pounds per hour. For best operation, the honey-wax mixture should enter at a temperature range of between 95 and 105 degrees Fahrenheit. If cooler than this, the separation is slower. Past performances in both domestic and foreign fields has proven that this machine will meet or exceed your expectations. 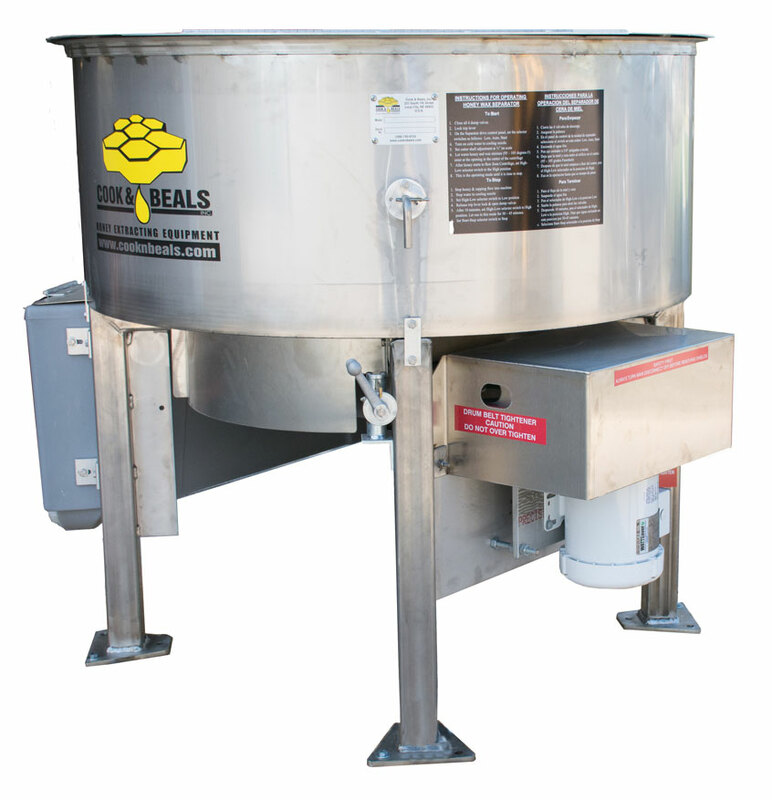 For older model Spin-Float Honey Wax Separators (without the E-Drive option), we offer a field install Electronic Speed Drive System for your Separator. The field install kit is available both with or without a motor. (NOTE: The Electronic Speed Drive comes standard on new models).